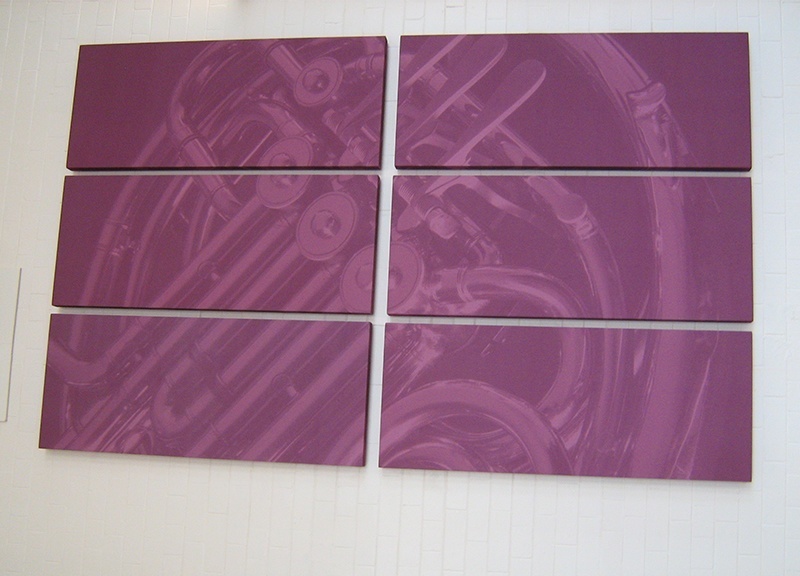 We were approached by Croft Goode, Chartered Architects in September whose client, Kirkham Grammar School had asked them to source “specialist acoustic wall panels to include art”. 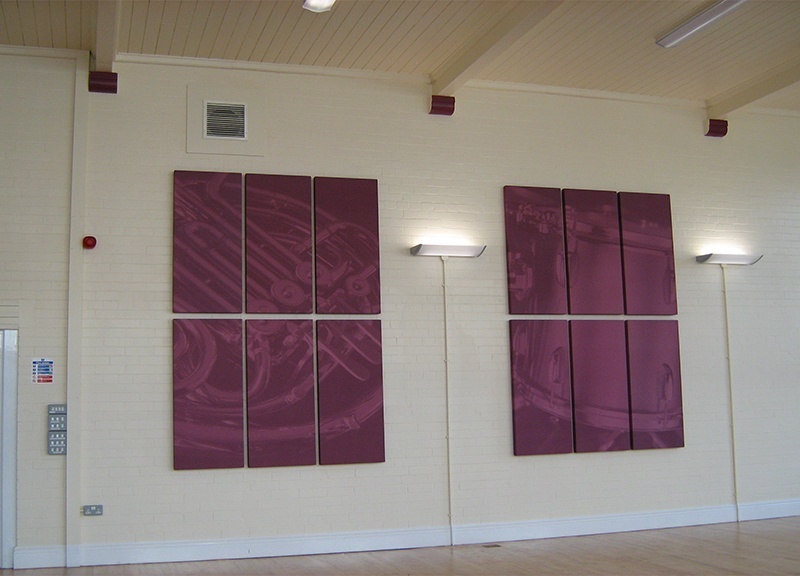 The project was to improve the acoustics in a soon to be refurbished multi purpose hall, so that both the spoken word and varying forms of music could be heard more clearly. 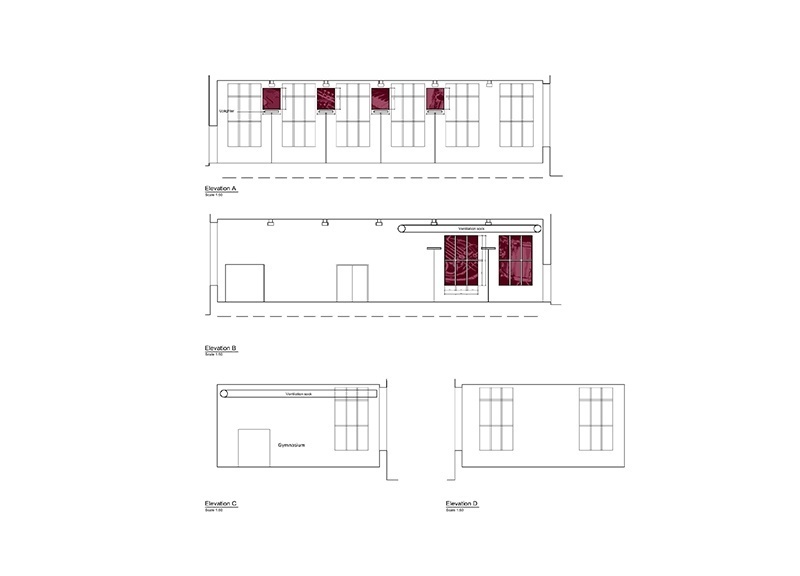 The plans arrived thus allowing us to work out prices and source the “art” which was to be overprinted onto the fabric surface; we also needed a close colour match for Kirkham School’s uniform. After much to-ing and fro-ing we were able to agree sizes, images and colour. Timing was critical – there was less than a month from receipt of order, approval of art-work and colour to get the panels onto site for installation, prior to an important Open-Day to be hosted by the school. “We are delighted with the end product and the Director of Music has commented on the improved sound in the recital hall now the acoustic panels have been fitted. We will send some images when the last panel is in situ. Thank you for all your help sourcing the images, colour etc. Many thanks to Kirkham Grammar School for featuring in our Case Study.